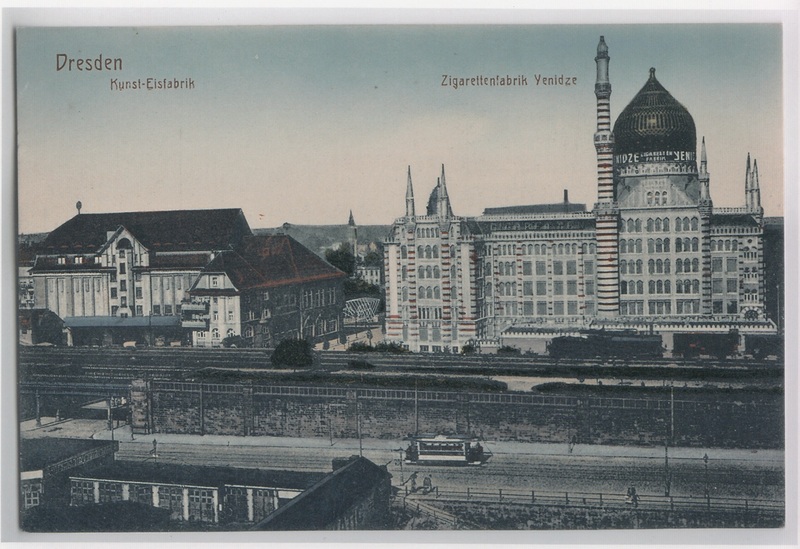 In 1886, the entrepreneur Hugo Zietz founded the “oriental tobacco and cigarette factory Yenidze” in Dresden. It was named after the tobacco-growing area centred around a small town called Giannitsa, whose former turkish name is Yenidze and which is located in modern Greece. In 1907, Hugo Zietz hired the architect Martin Hammitzsch to build a factory to fulfil a special prerequisite: back then, in central Dresden, it was prohibited to build factory premises, which can be easily identified as factories. Therefore, Zietz came up with the idea to design the factory in the style of a mosque. Consequently, the building would not only meet the requirements of the city council but also become a distinctive advertising monument for oriental cigarette brands. In 1909, the Yendize was eventually brought to completion and opened its gates for the first time. However, it was only 15 years later that the factory was sold to the Reemtsma group, which continued to operate it until 1953. For the production of cigarettes the whole building was used: In the basement the raw tobacco was stored and prepared for processing. On the second and third floor manually rolled cigarettes were produced and on the fourth floor machine-made mass products were manufactured. Labels and banderoles were fitted on the first floor and on the ground floor the goods were prepared for shipment. Rest areas for the staff were available in the dome. The spectacular architecture of the Yenidze created a strong contrast to Dresden’s characteristic Baroque architecture and was initially subject to huge disapproval. As a response to his draft for the Yenidze, the architect Martin Hammitzsch was even excluded from the chamber of architects. Despite all hostilities, the Yenidze fully lived up to its advertising requirements, as it was on everybody’s lips. 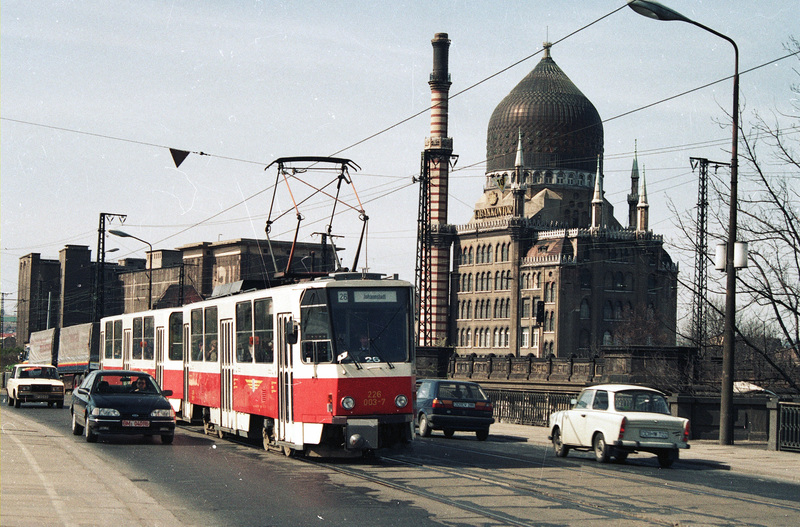 It was most likely due to its optimal location near the main railway line Berlin-Prague that must have made travelers associate the brand name “Salem Aleikum”, which was fixed to the building, with the image of a mosque in the middle of Saxony. 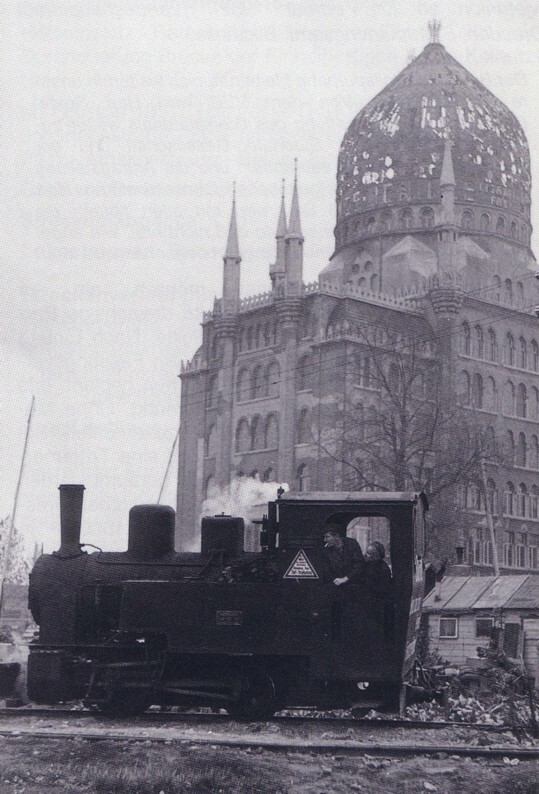 Constructing his cigarette factory at the beginning of the 20th century, Hugo Zietz built a unique advertising monument that still continues to create an oriental atmosphere in Dresden to this day. During World War II, about one third of the Yenidze was destroyed. The south wing of the Yenidze was hit by a bomb as part of the extensive airstrikes on Dresden in 1945. The dome was also subject to severe damage. Following an emergency protection measure, the demolished wing of the building was knocked down and partially reconstructed. 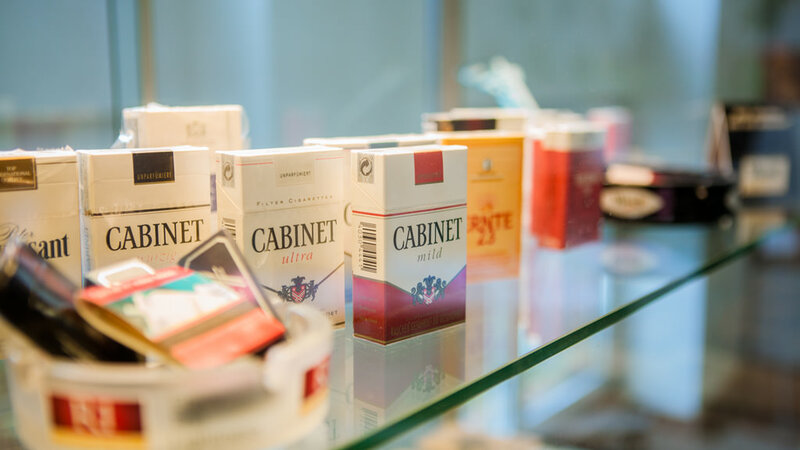 VEB Importtabak, predecessor of the later VEB Tabakkontor, then moved into the Yenidze and used the building as storage place for raw tobacco, as well as supplying cigarette factories all over the German Democratic Republic. After the German reunification in 1990, the Yenidze was managed by a trust and eventually sold to a rest estate fund in 1991 which initiated the restoration process according to the requirements of protected heritage. As part of the restoration process, the south wing was refurbished based on the original design. 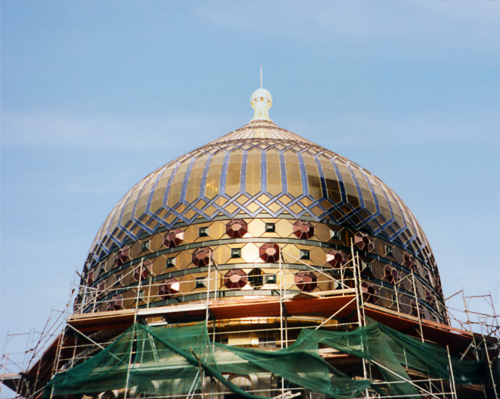 860 m² of glass were processed for the glazed dome and remodelled according to the original design. In 1997, the Yenidze was reopened as an office facility and now provides a prestigious office location to numerous businesses. The glazed dome houses a restaurant with the highest deck of the city and a 360°view of Dresden. In addition, it hosts readings on a regular basis, which take both young and old visitors on a journey to the world of oriental fairy tales. In 2014, the Yenidze was purchased by the EB Group, which continues to operate the former factory building as an office location and plans to create an exhibition area to inform visitors about the history of the building. 1992 VIEW FROM THE MARIENBRÜCKEThe dome received its brown-green glazing in the sixties. 1996 RESTORATION OF THE YENIDZERickinger GmbH carried out the interior paintwork and refurbished the façade.